Nature's landscapes of water, skies, forests and rolling moors provide the perfect inspiration for the earthy neutral hues of our collection of warm durable wool curtain fabric and wool upholstery fabric. The subtle plaids and the delicately composed stripes are buttressed by the impeccably grounded tones of the plains. Warm to the touch, soft and easily draped, yet naturally flame retardant, our Iona range can be used throughout the interior for curtains, upholstery and loose covers. Plaid upholstery fabric and plaid curtain fabric are very much the current fashion in interior decor and our Iona collection, with its modern gentle tones, is an excellent example of this trend. 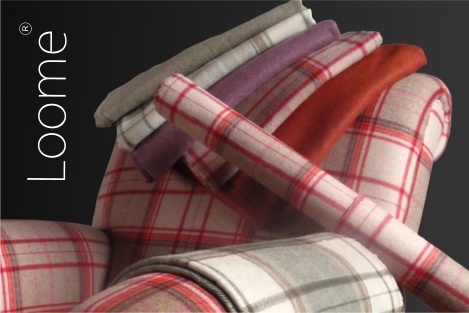 The beauty of plaid upholstery fabric is the gently interwoven colour palette provides a range of options for background and accent colours. One option is to choose one of the main plaid colours and use this as a solid colour for another item of furniture such as a fabric covered coffee table, a single chair, or for curtains. 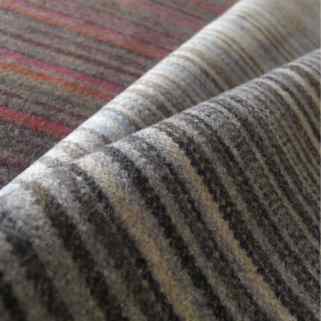 Another approach is to link through using softer shades of one of the plaid stripes in wall paint, curtains or cushions. Whatever your strategy, plaid upholstery fabric looks terrific and the Iona collection offers a great range of colour options.